My divorce this year has led me to look through the family archives and review my personal photo collection. Print after print, box after box, I’ve been busy making scans of significant, memorable, or otherwise important family pictures (thank you, Flip-Pal). Predominantly of my daughters, the images in some cases date back more than 10 years. That decade is fairly small in the larger canvas of my family’s history, but in my own life – the here and now – it represents so much more. Those images, and the memories they stir, serve as a personal reminder of what we do every day as family historians – collecting a lifetime of memories, stories, and images, and sharing them with the current and future generations. With my divorce, sharing those stories, events, traditions, and memories (and making new ones) with my daughters is now even more of a priority for me. Here are just a few pictures that jumped out at me as I was poring through the family photo boxes. 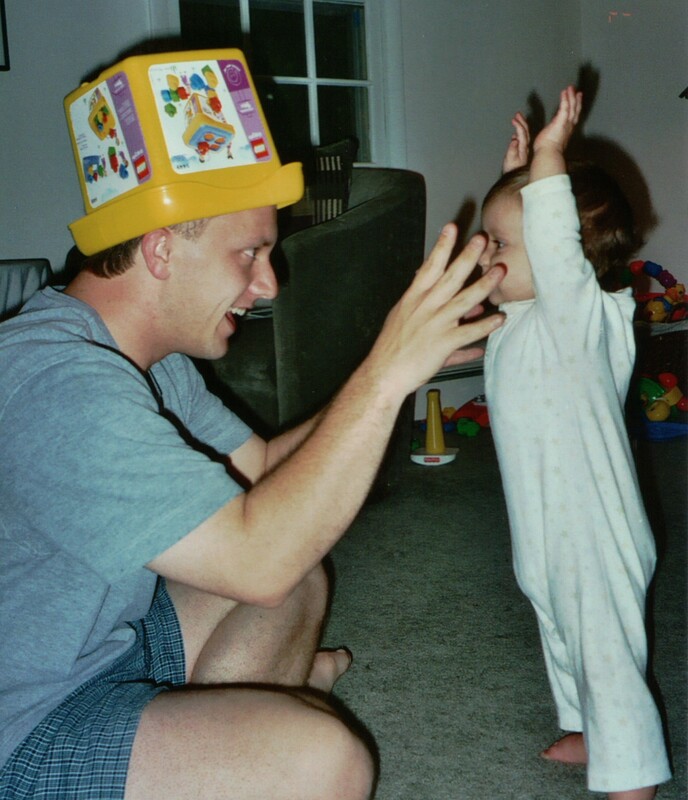 This first one is of my oldest daughter (she’s 11 now), where we are busy playing “Daddy with a Bucket on His Head.” Thankfully, my daughter’s accessorizing has moved past plastic headwear and on to more sophisticated pursuits, such as my suit, shirt, and tie combinations. And for the record, her taste remains exquisite; my work shirts and ties today nearly surpass my bucket-wearing days of the not-so-distant past. 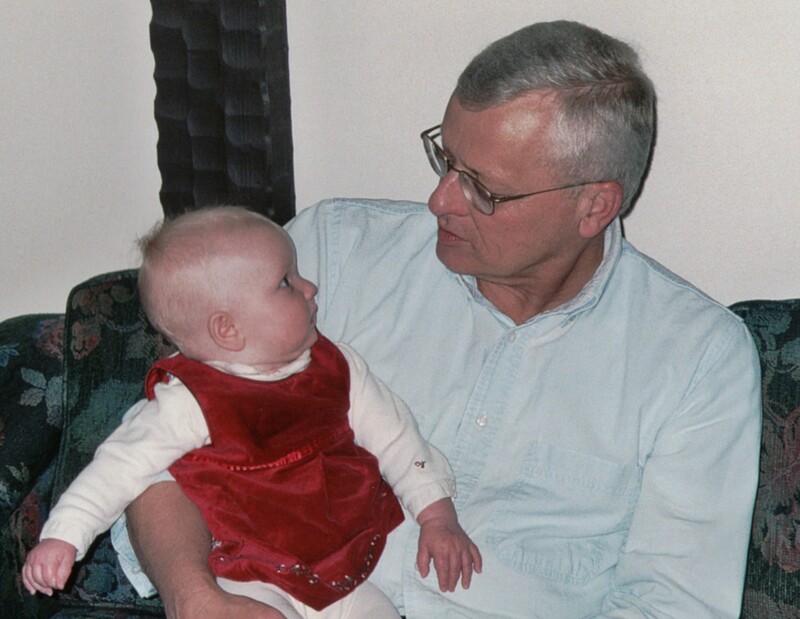 Here is another picture, this one of my youngest daughter with my father. About 6 months old at the time and at her first Christmas, what strikes me with this image is how intense my daughter’s gaze is. Nearly 9 years later, that gaze can still penetrate. Finally, this image is from just a few weeks ago, and has immediately become a personal favorite. 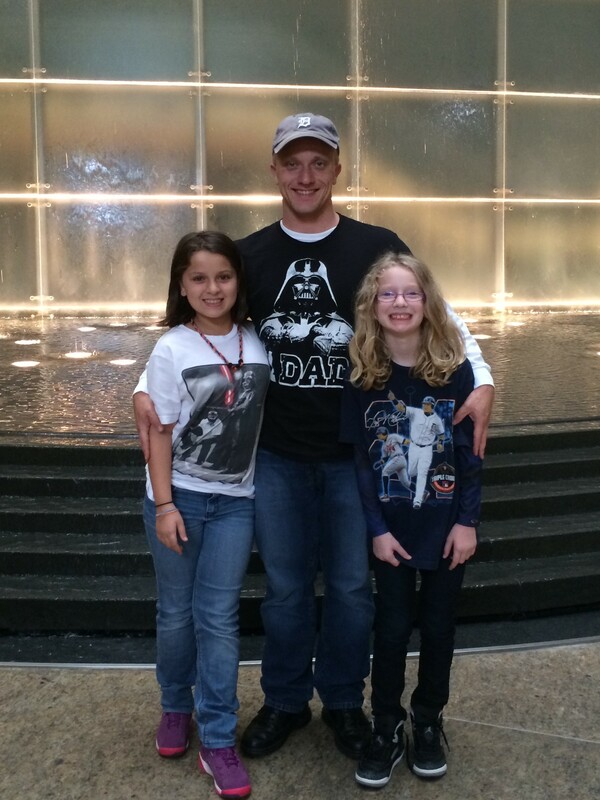 Taken in Detroit right before the “Star Wars”-themed night at the ballpark, because nothing says baseball like The Force, Jedi Masters, and Boba Fett. We are all clearly eager for the evening’s festivities to begin and, of note, my youngest daughter even picked out my T-shirt. Those photographs of the girls remind me of our special moments, those memories of Daddy-daughter outings, ice cream jaunts, video games, air hockey, and skeeball at the arcade, bath time, bedtime songs and rituals, and so much more. Looking ahead, I will be more mindful and appreciative of those moments with the kids, capturing and sharing those memories of the 3 of us together and our new family moving forward, today and into the future. We all have interesting photos in our collections, those images of the distant past where we have little to no idea about the who, what, when, where, or why. 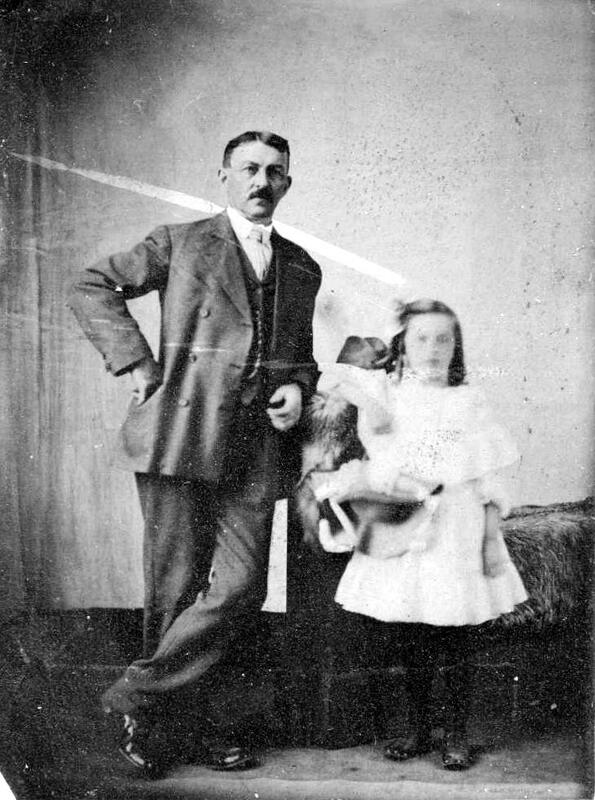 With no obvious identifying marks on the tintype, neither the man (nice mustache, by the way) nor the young girl are identified. Why is she so out of focus? What is she holding or leaning against? Perhaps she is his daughter? 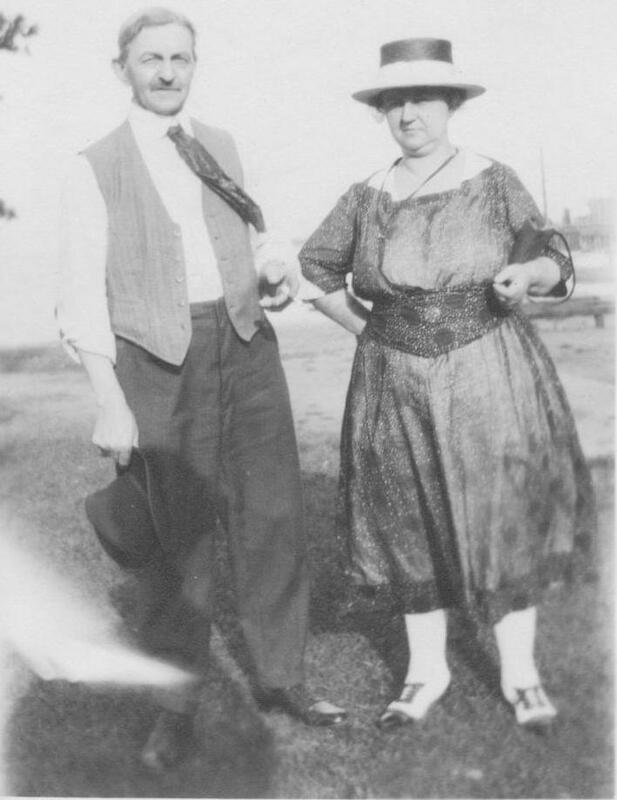 The only information I have to work from is the image was mixed in amongst several other photos from my Russell and Everett lines, all dating from the families’ time in Toronto. 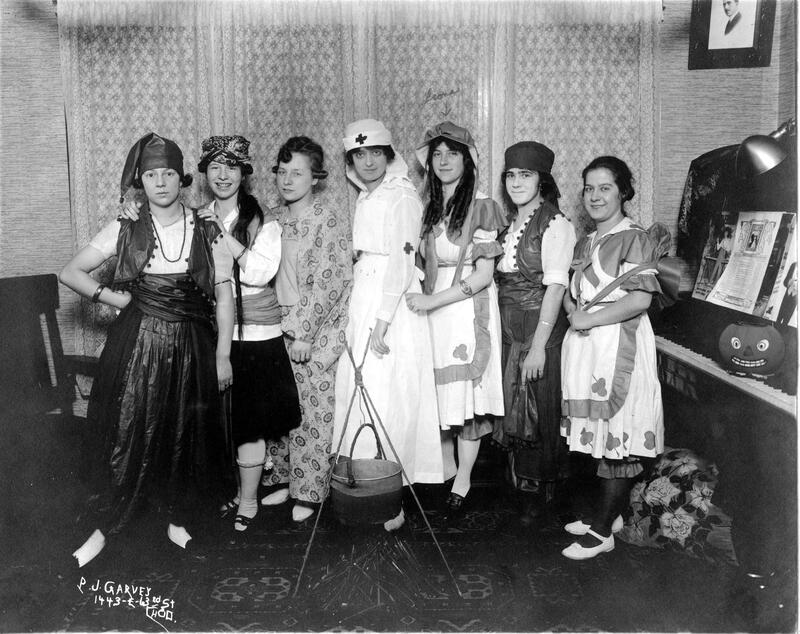 This would also be the time period when the tintype was prevalent in photographic technology. A small lead, to be sure, but a lead nonetheless. 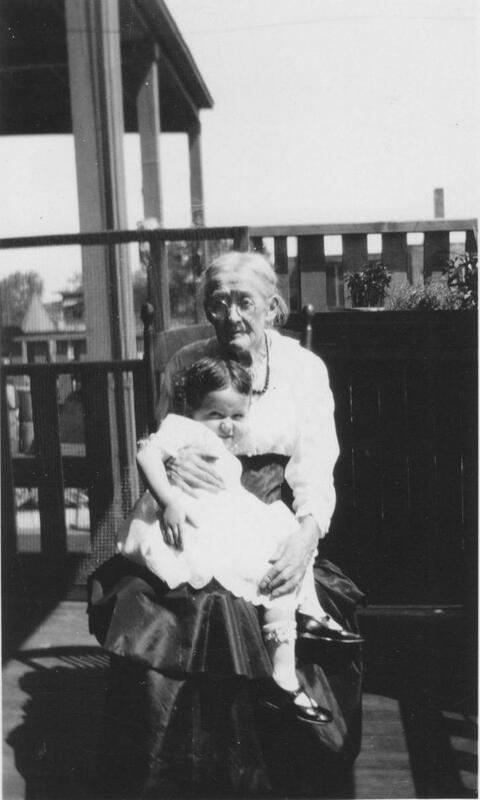 The girl could be my g-g grandmother, Mary Ann Everett, but it’s hard to say with any degree of certainty, as her face is so out of focus, and other images I have of her are as a much older woman. 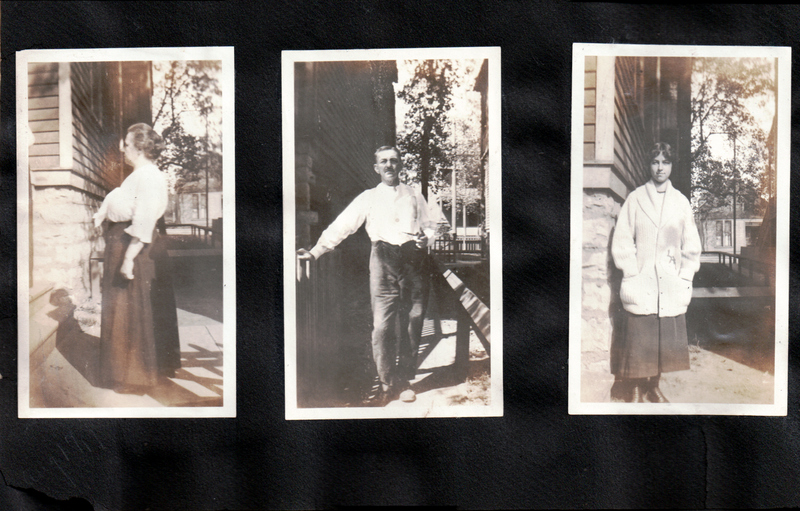 Could the man, then, be my g-g-g grandfather, still an unnamed and unidentified leaf on my family tree? Ironically, the image above represents the oldest original document or image in my possession. My oldest family resource, and I know next to nothing about it! Growing up, I was fortunate – blessed, really – to have all 4 of my grandparents in my life. My brother and I have hundreds of memories shared with the Alderson’s and Rzepczynski’s, whether in New Buffalo, Kalamazoo, or at Gravel Lake. Yet despite all the time we spent with each set of grandparents, there were precious few moments or gatherings where all 4 of them were together. Of course, there certainly were those moments before I was born, but as a child, the idea that all 4 grandparents would be together was quite extraordinary and exciting. Whether a graduation party or the summer get-together at Gravel Lake, those shared family events were always memorable. William Alderson and Leo Rzepczynski, April 1995. 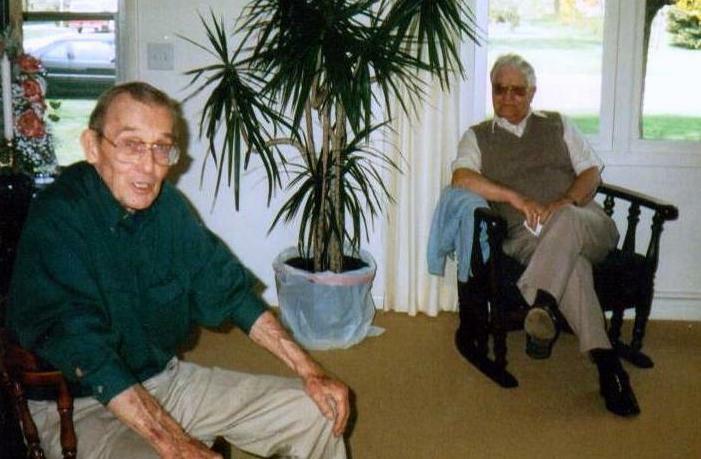 This meeting of the grandfatherly minds was in the spring of 1995, likely at my college graduation party; William Alderson is on the left, and Leo Rzepczynski on the right. This gathering represents one of the last family functions where all 4 of my grandparents were together; William Alderson died in December 1997, and Leo’s wife Stella passed away in January 1997. As a youngster, I always eagerly anticipated having my two grandfathers together, as there was sure to be some raucous storytelling, the occasional expletive, and plenty of laughs. Yet with my two grandfathers, one story always stood out. Back in the day, driving near or around Gravel Lake, one grandfather apparently cut off the other. A car horn blast by the innocent grandfather was answered by the other with the universal hand gesture. What makes that exchange so funny is that neither man realized who the other party was until later. I don’t recall much more about the exchange, but two things I remember vividly are the absolute delight in my Grandpa Alderson’s voice as he retold and relived the story, and my Grandpa Rzepczynski’s uproarious laughter at being “fingered” as the guilty party. I think of that terrific story every time I see a photo of the two men together, and in this case, the family story is perhaps even better than the image itself.